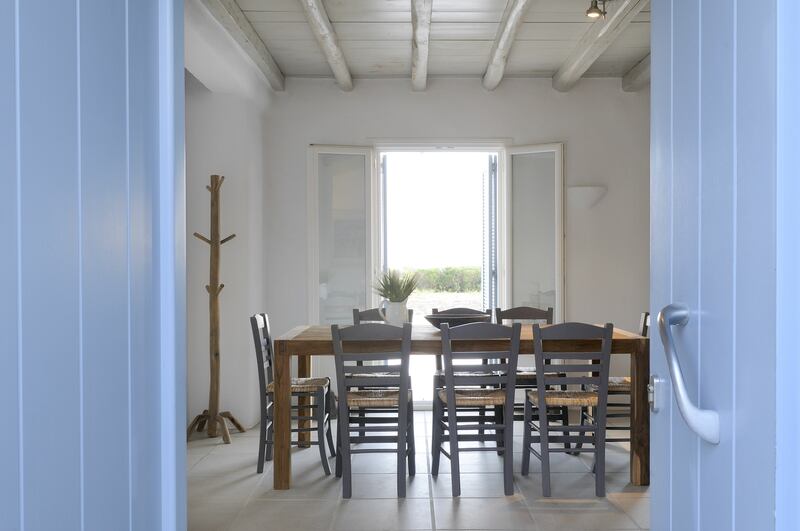 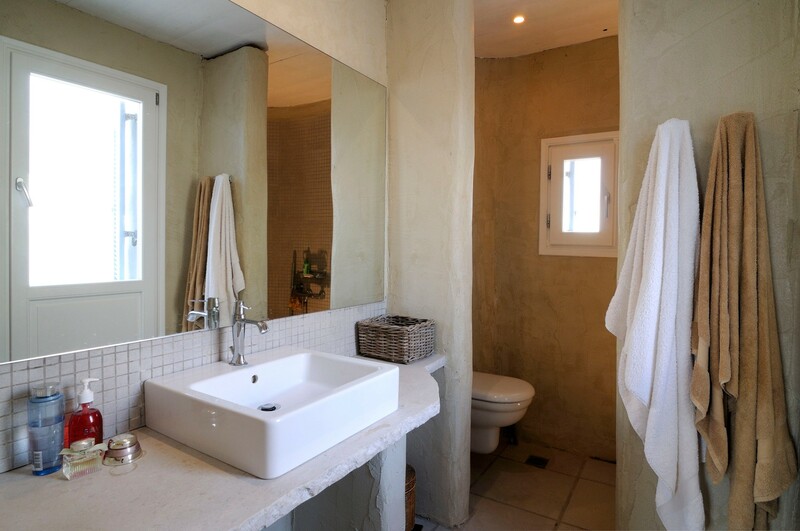 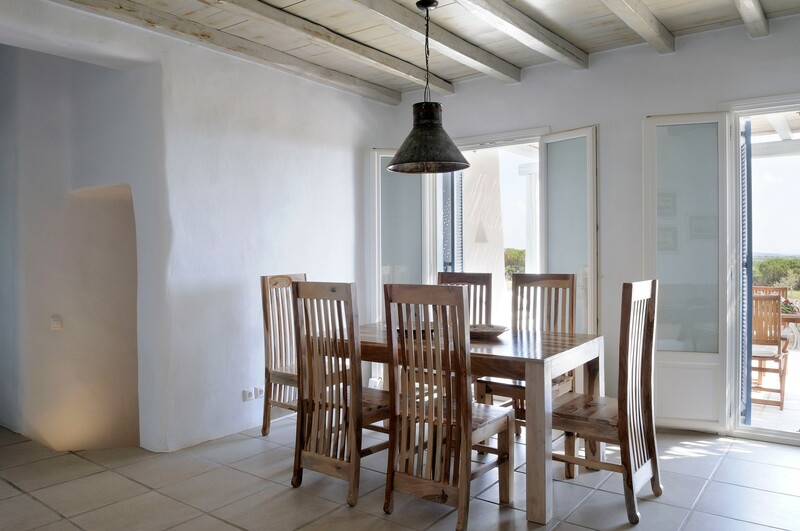 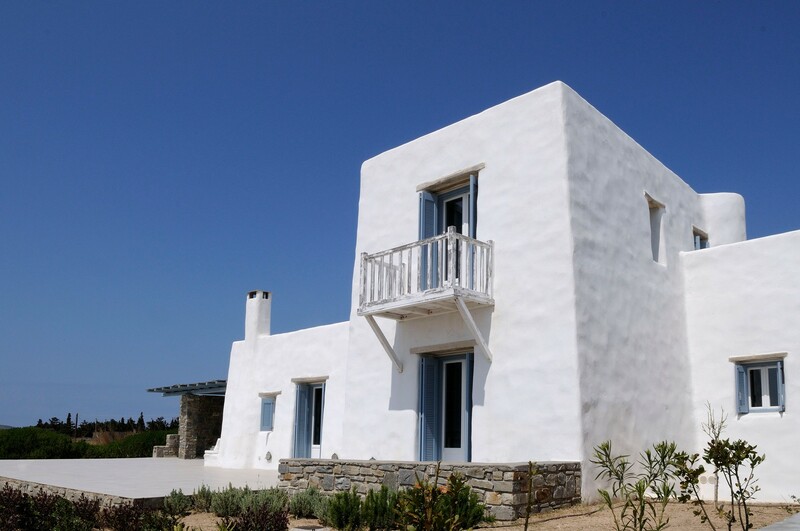 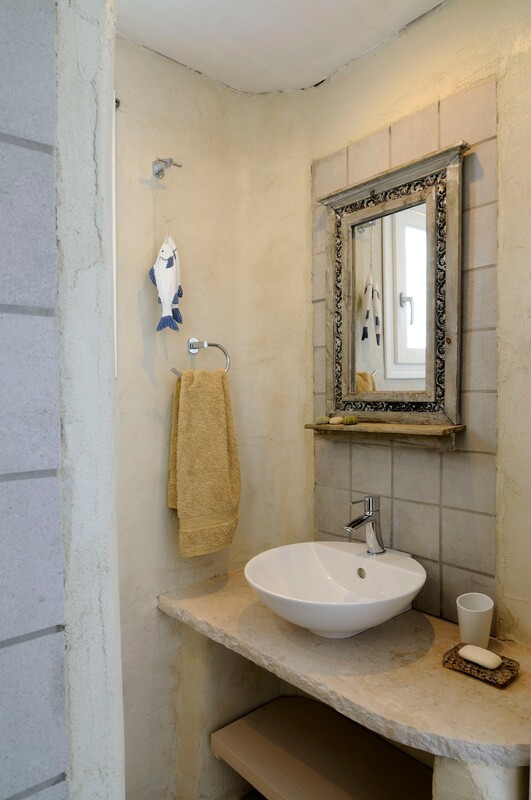 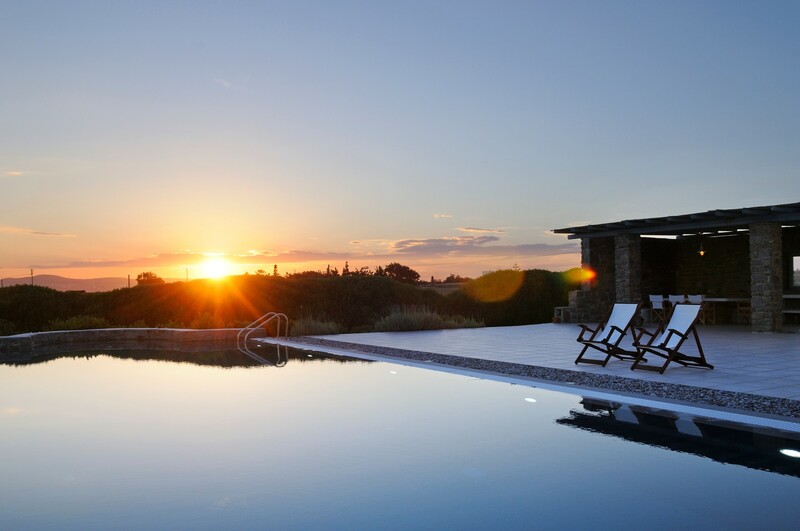 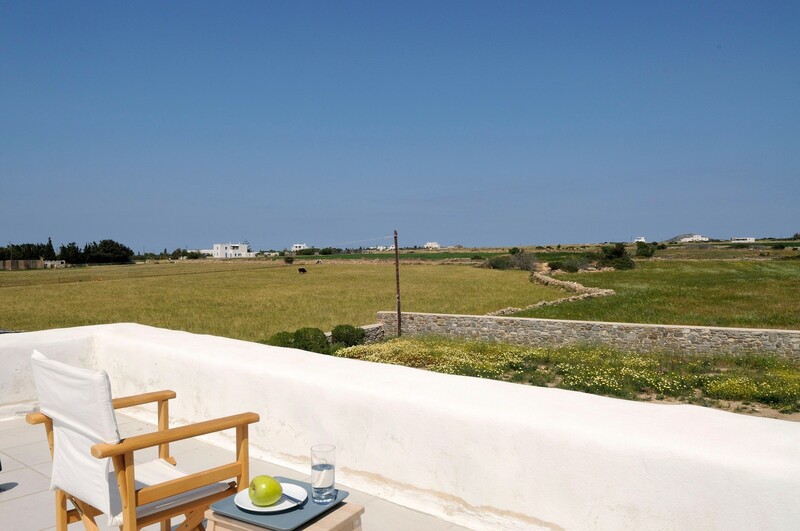 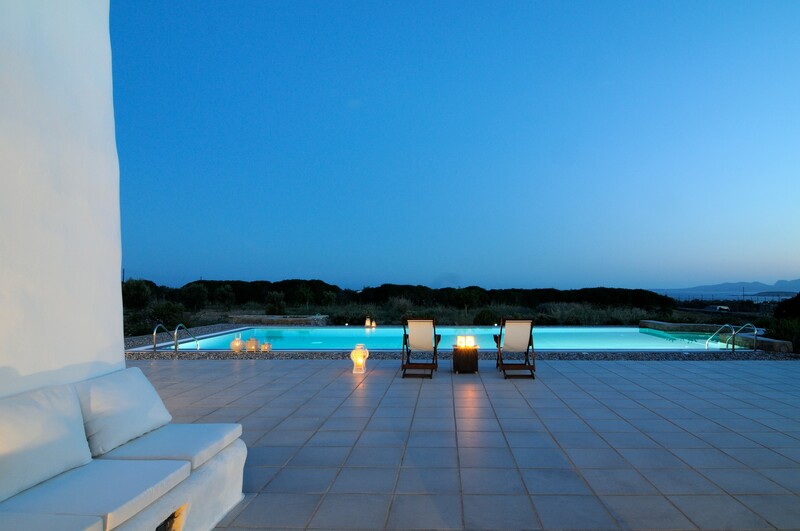 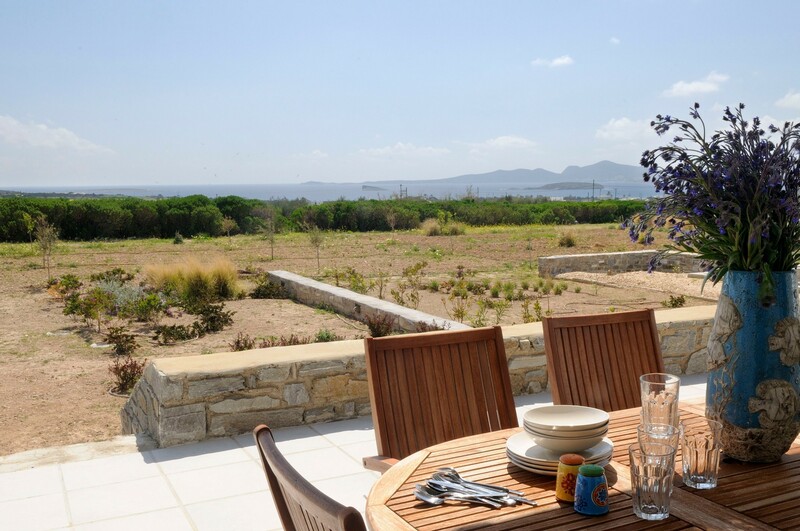 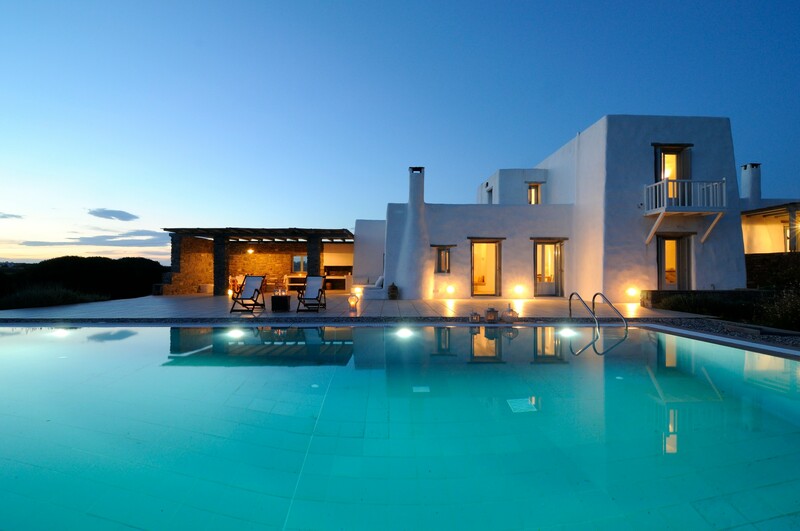 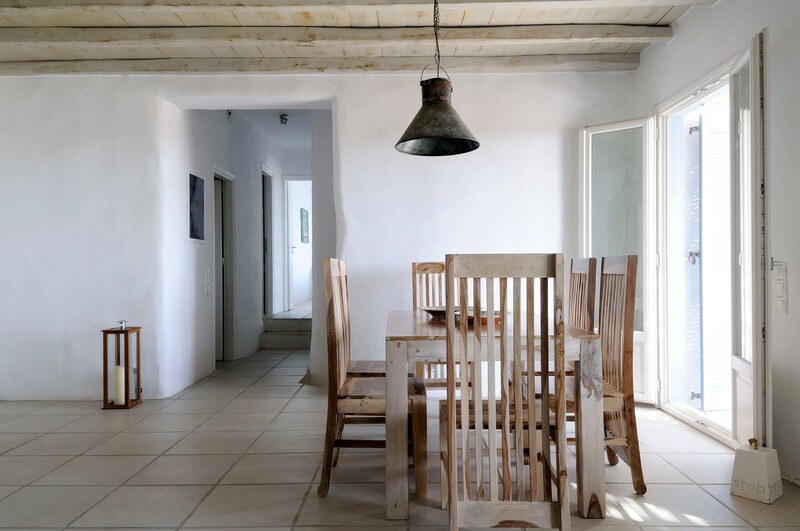 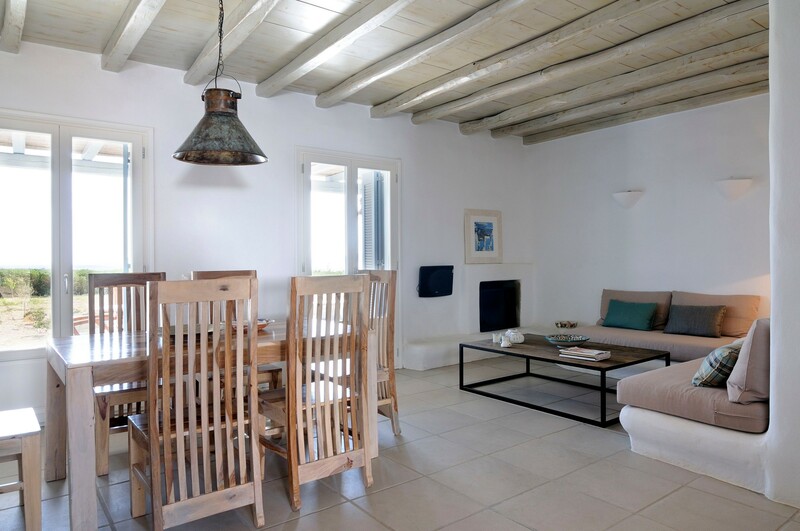 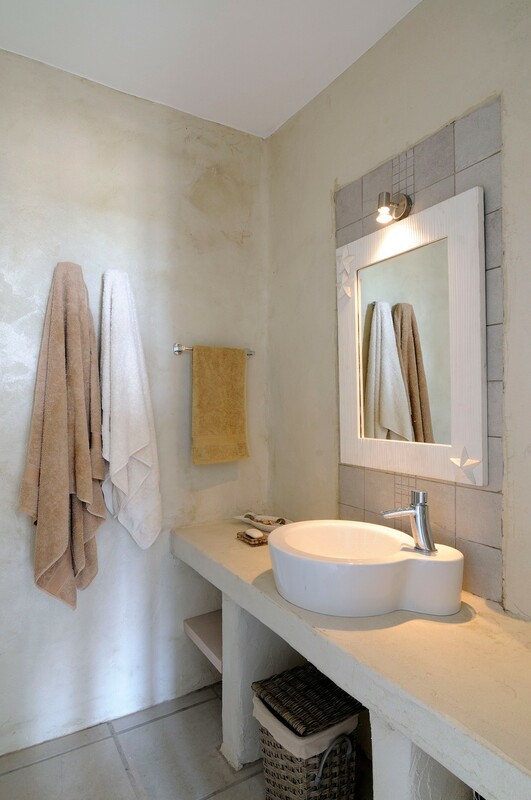 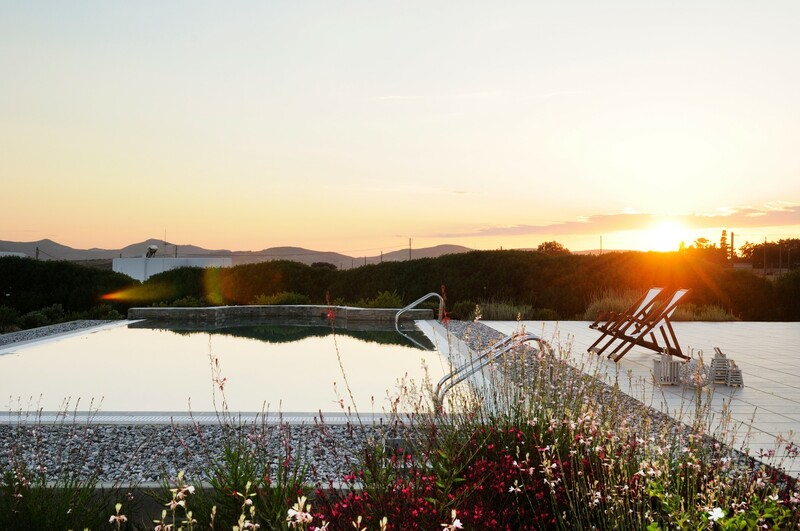 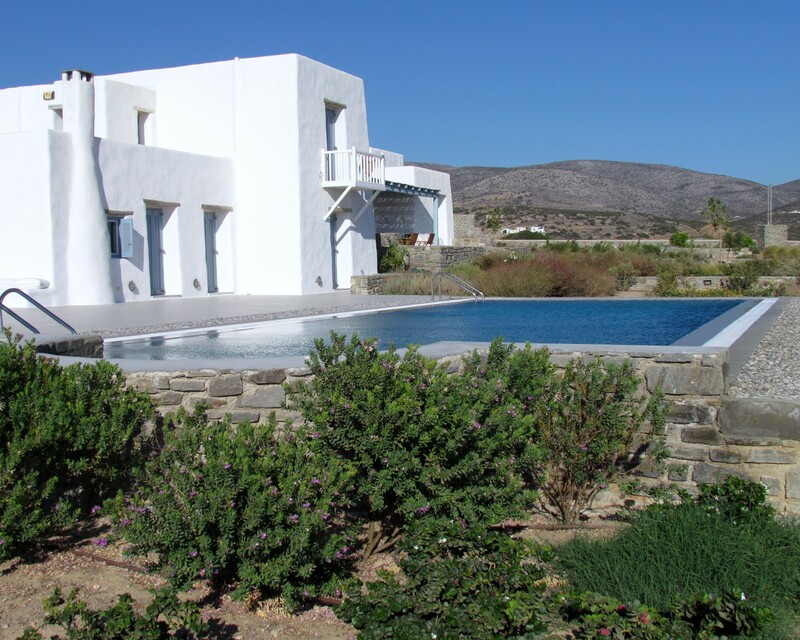 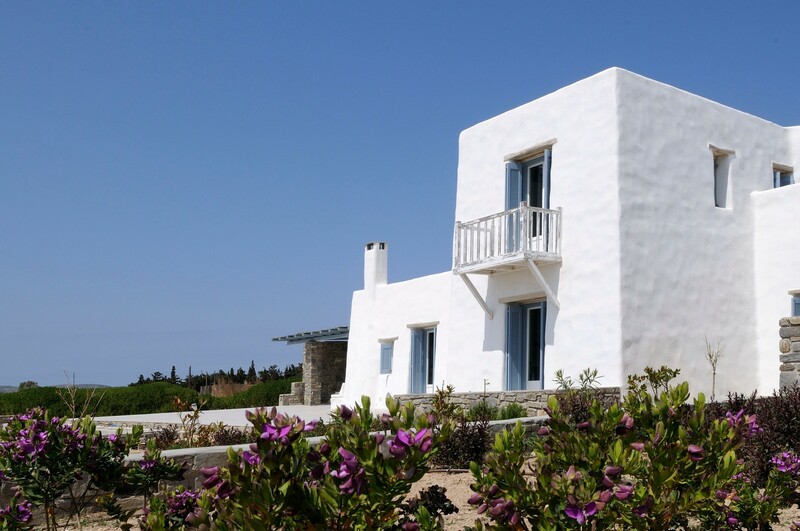 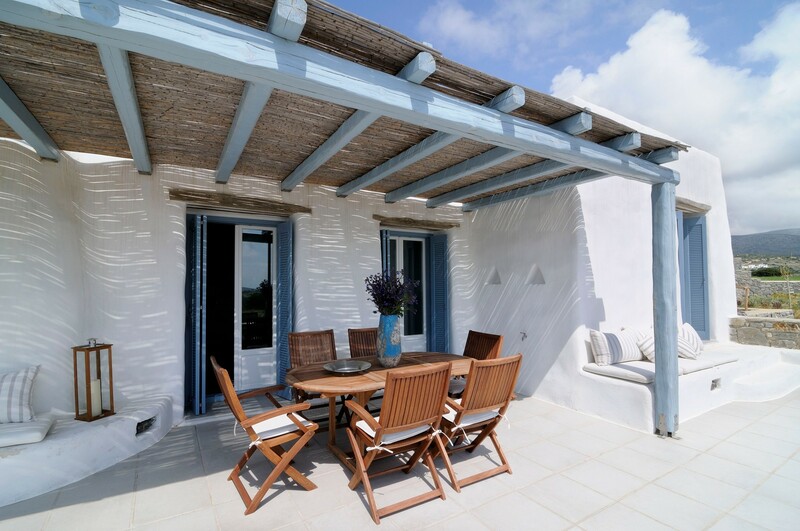 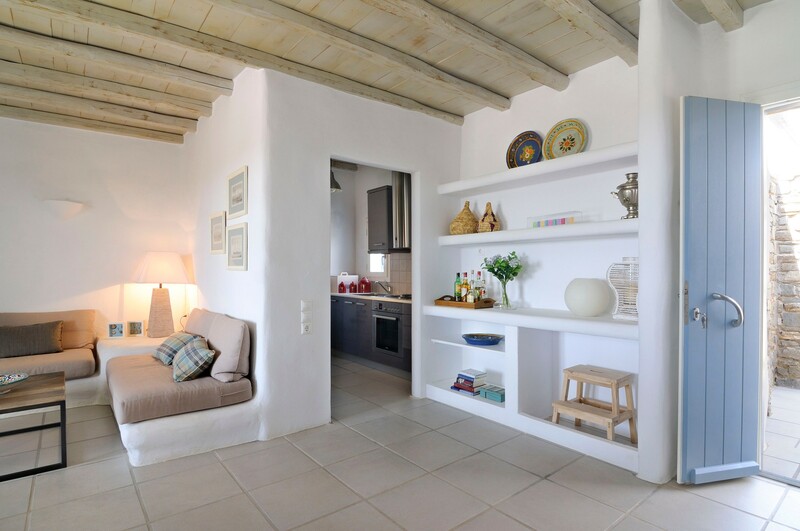 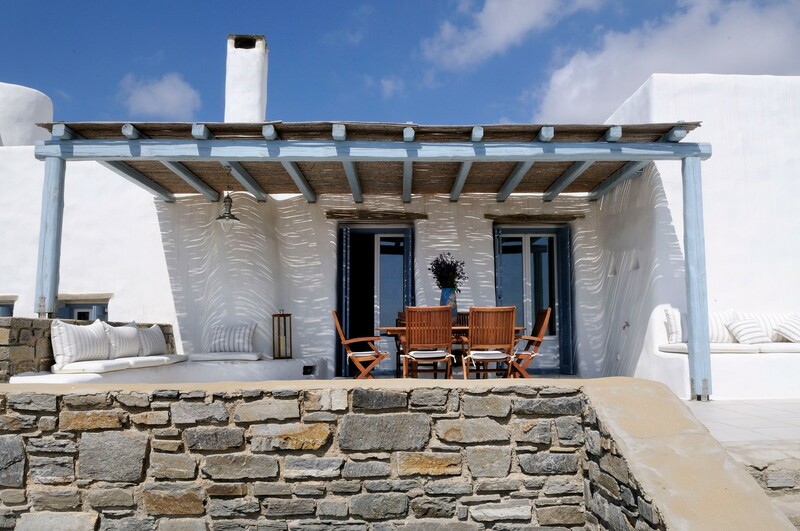 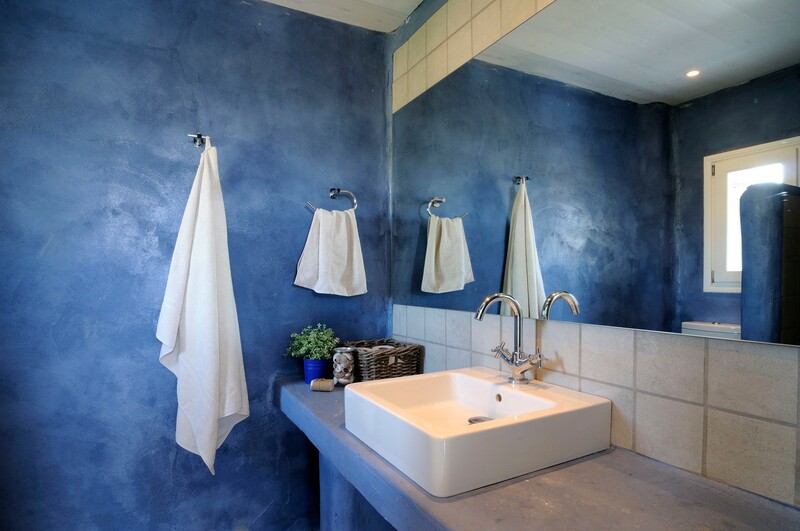 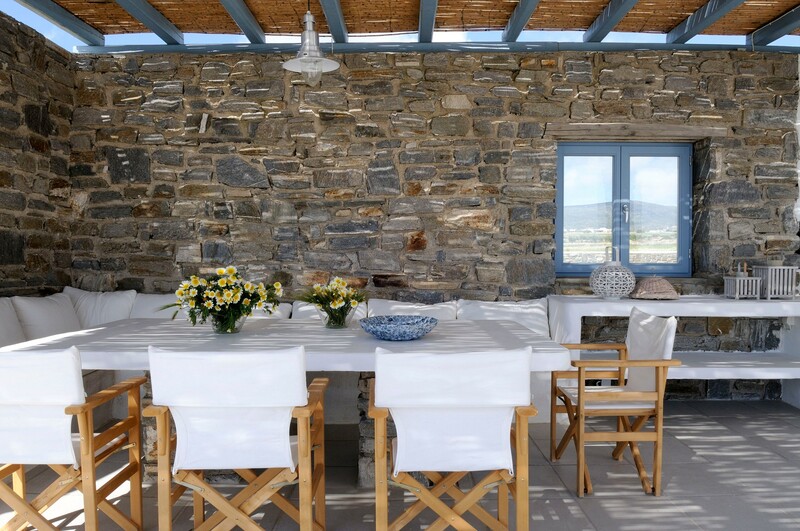 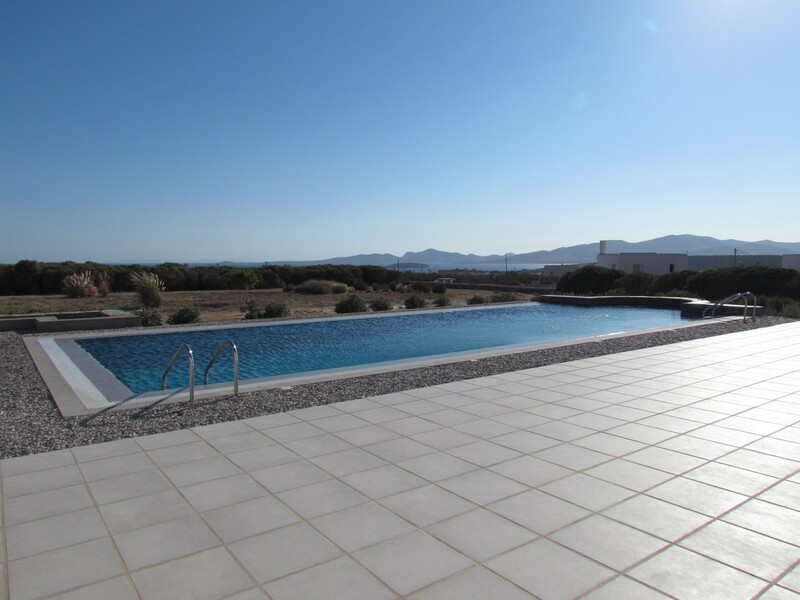 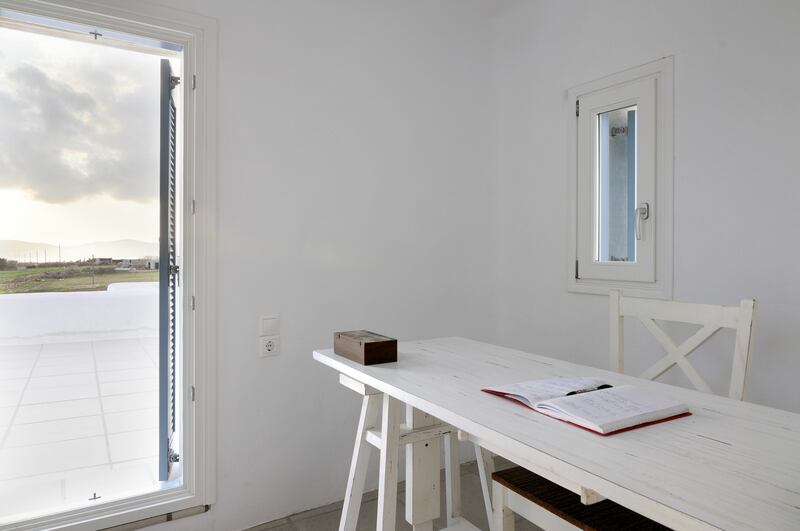 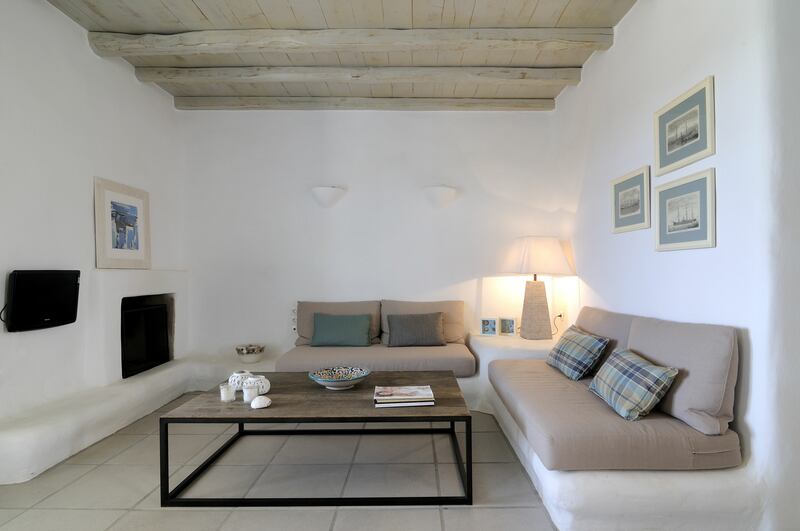 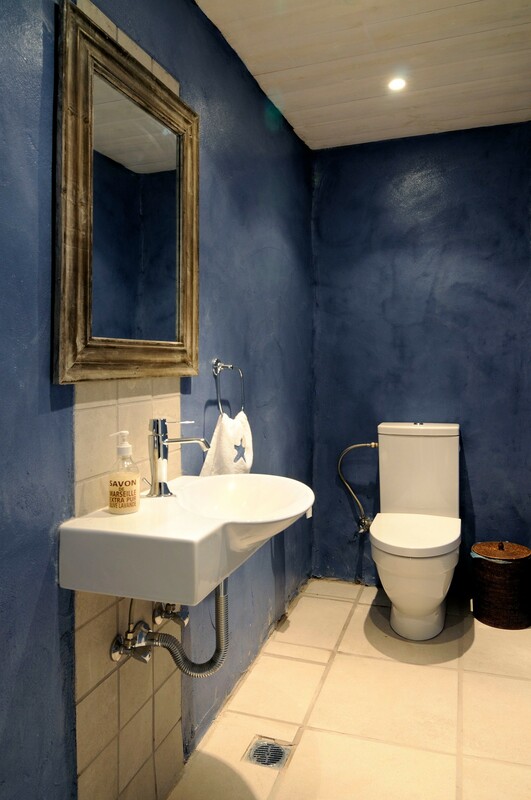 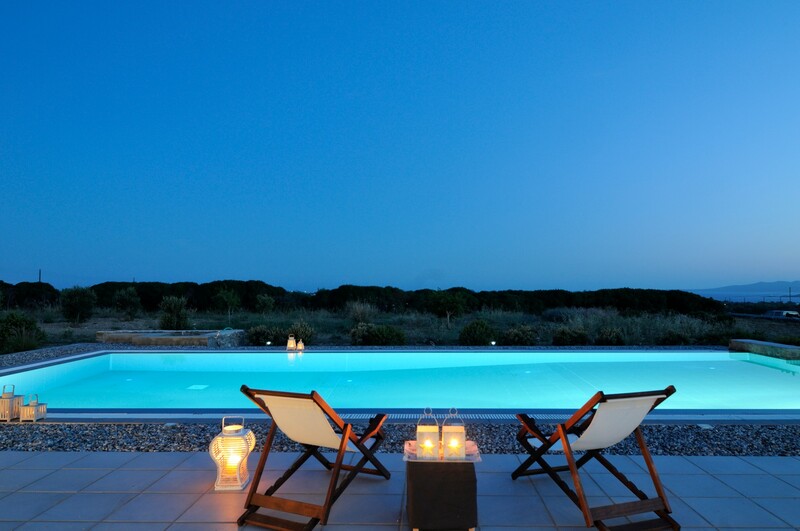 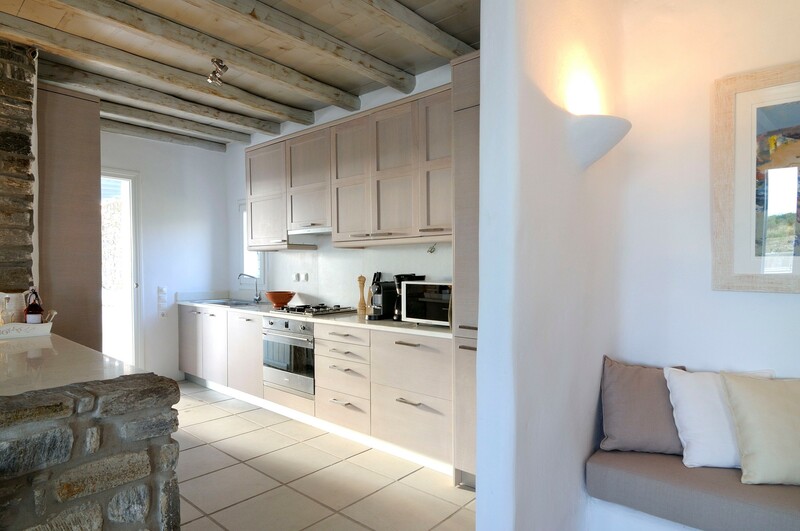 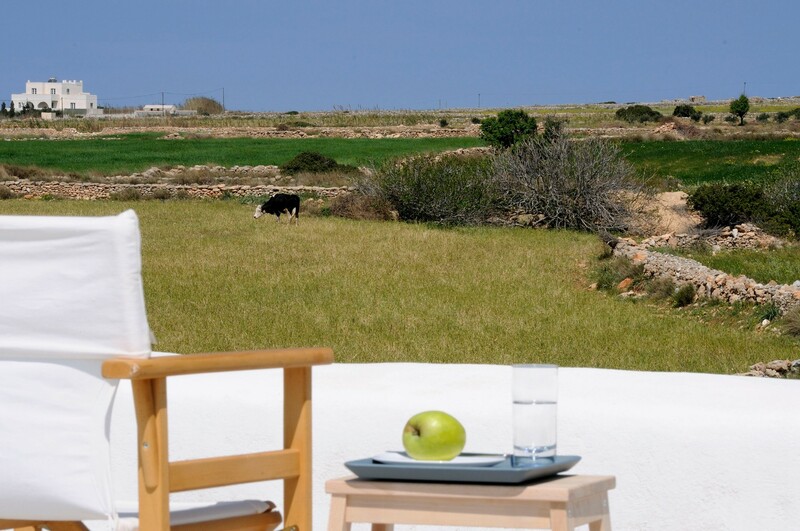 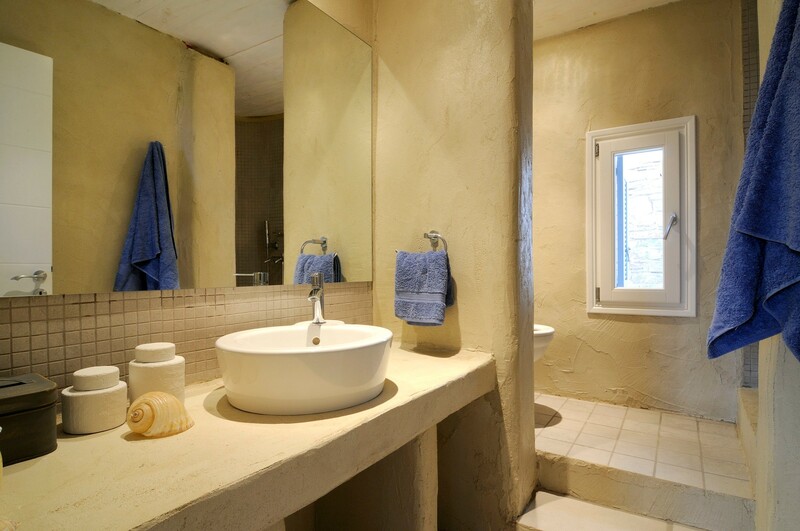 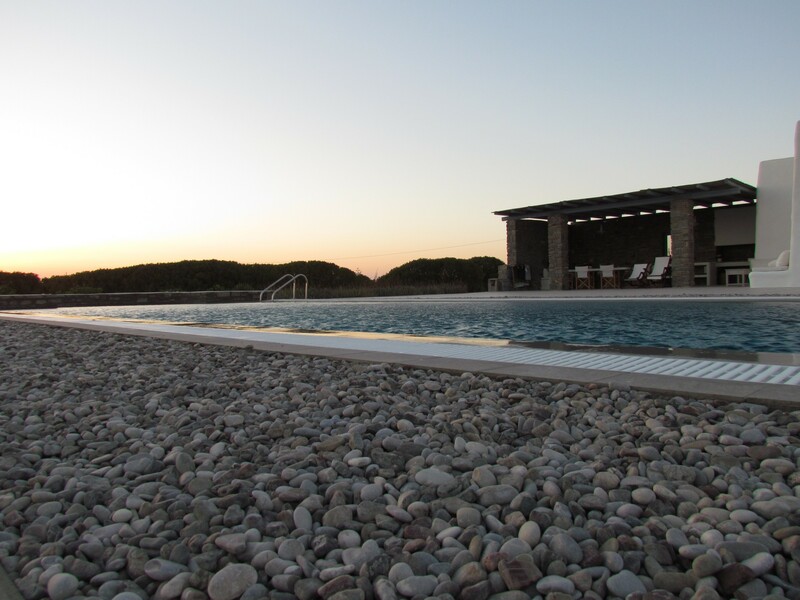 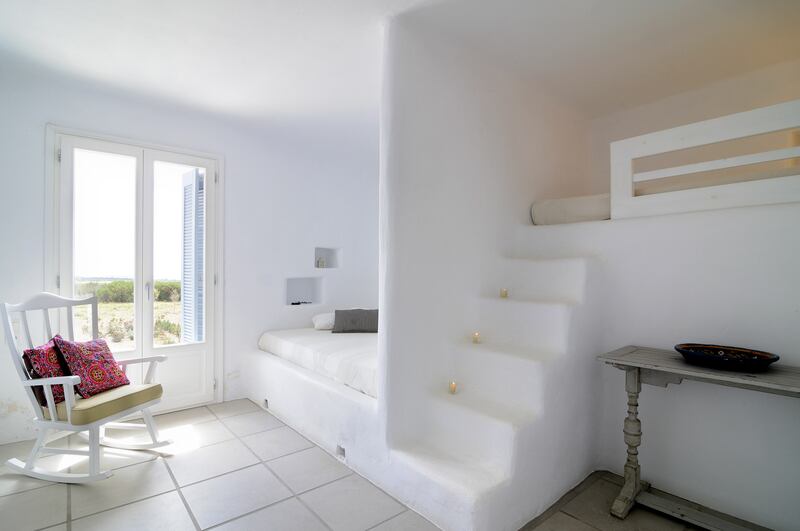 A luxury villa on the southwestern part of Paros, in Voutakos village. 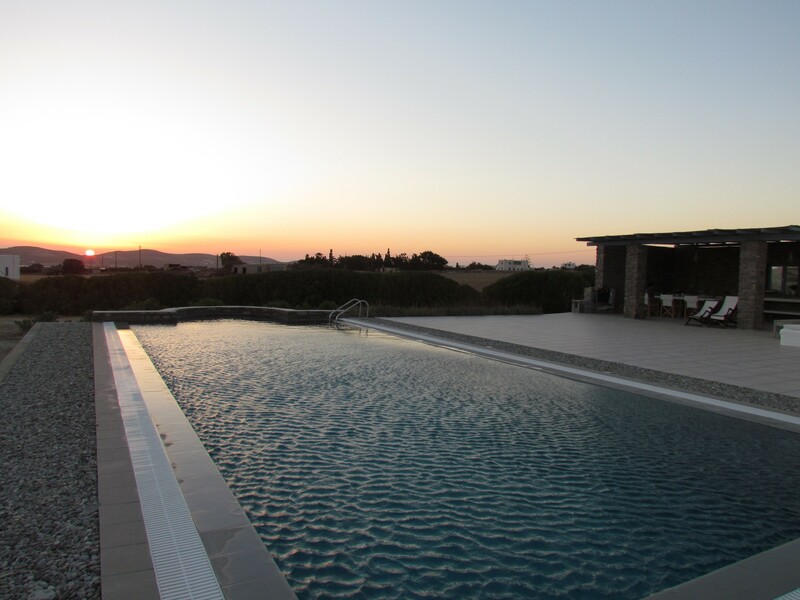 It is ideal for events and parties; you’ll be convinced, when you see the stunning pool and the large patio. 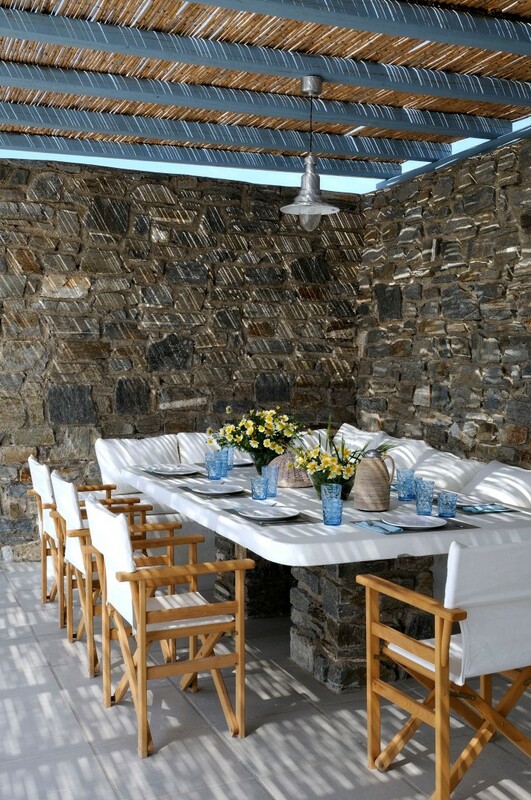 What’s special about this space is it is protected from the summer winds. 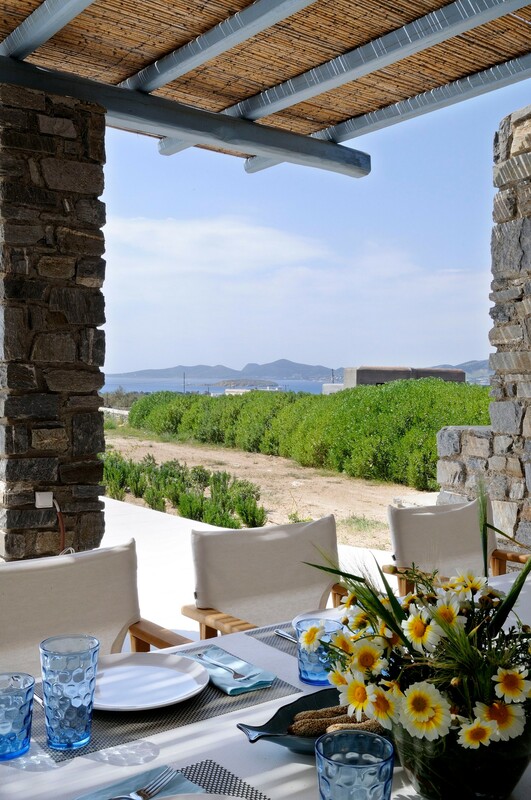 The villa consists of three semidetached units designed in a way that ensures complete privacy, while at the same time all houses enjoy unobstructed sea views. 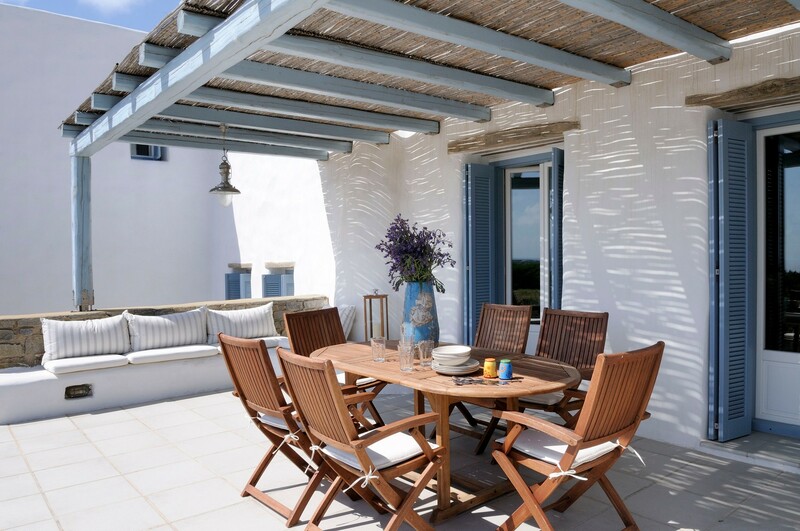 It offers every kind of home comfort you can think of; from large bedrooms with en-suite bathrooms to a beautiful al fresco dining area and BBQ. 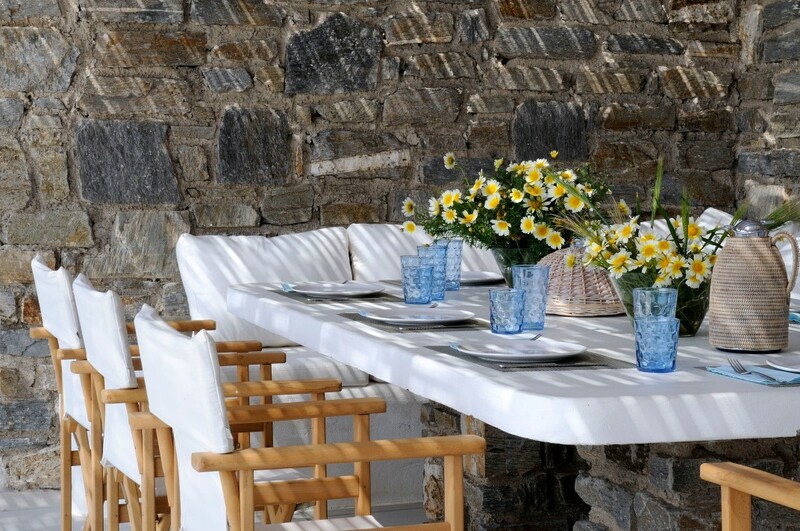 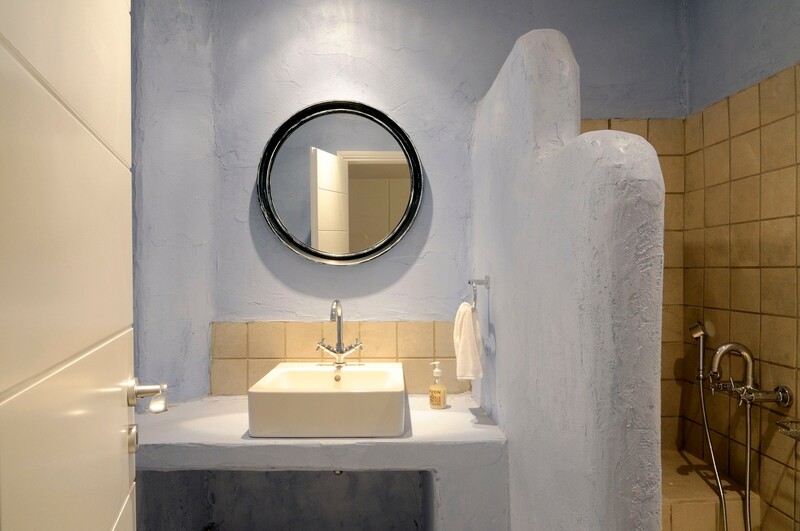 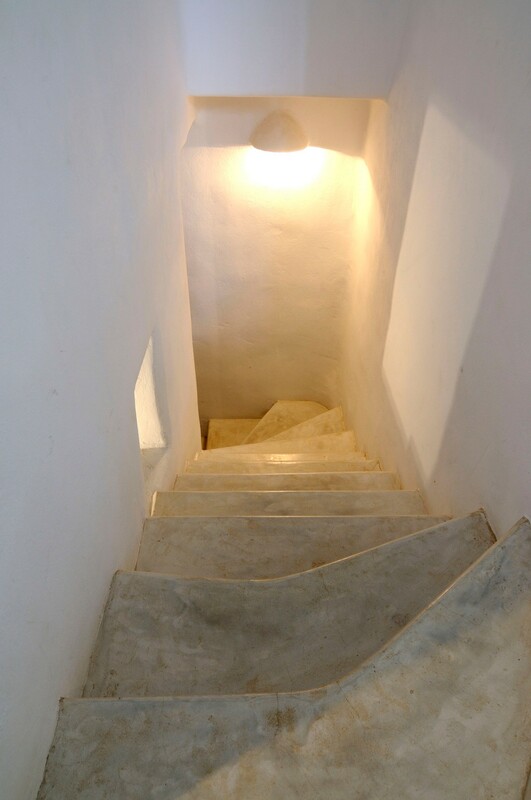 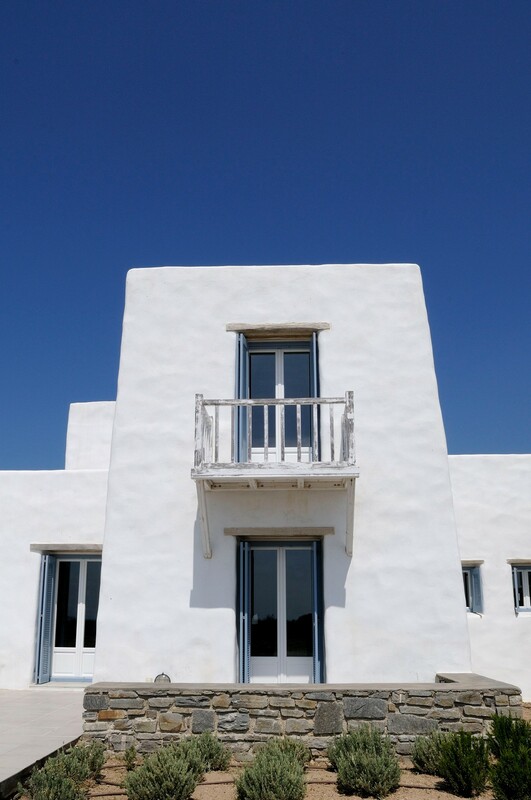 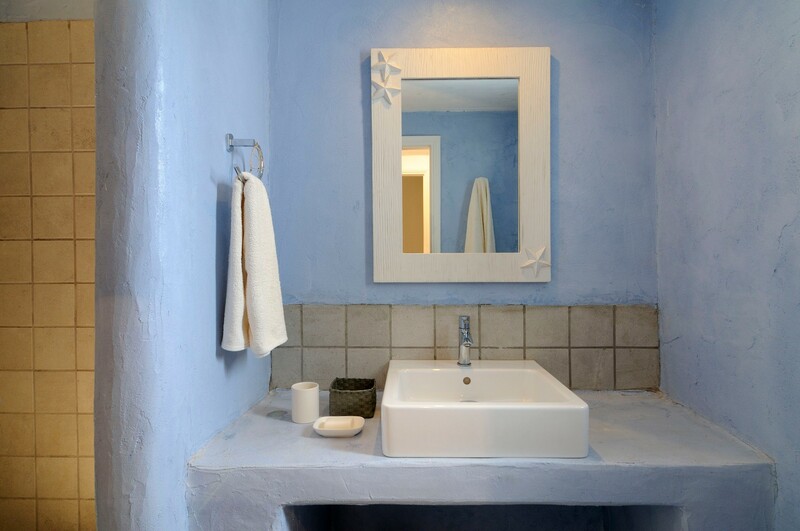 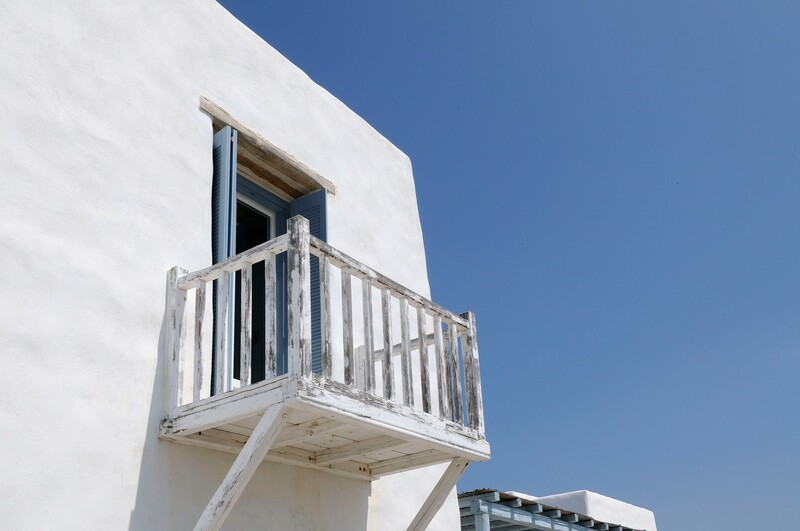 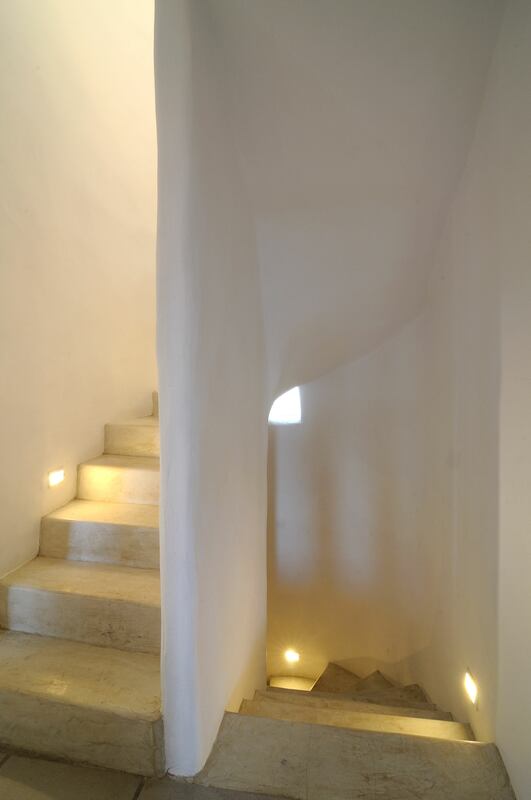 The villa boasts traditional Cycladic architecture which blends perfectly with the surroundings. 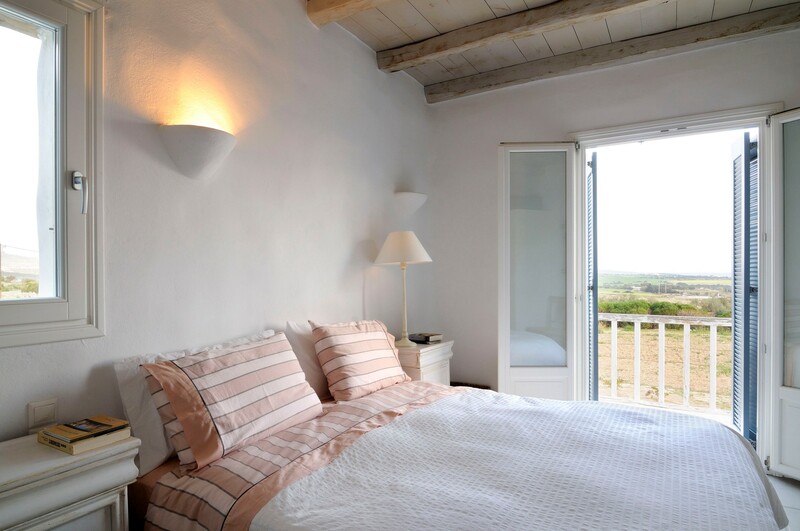 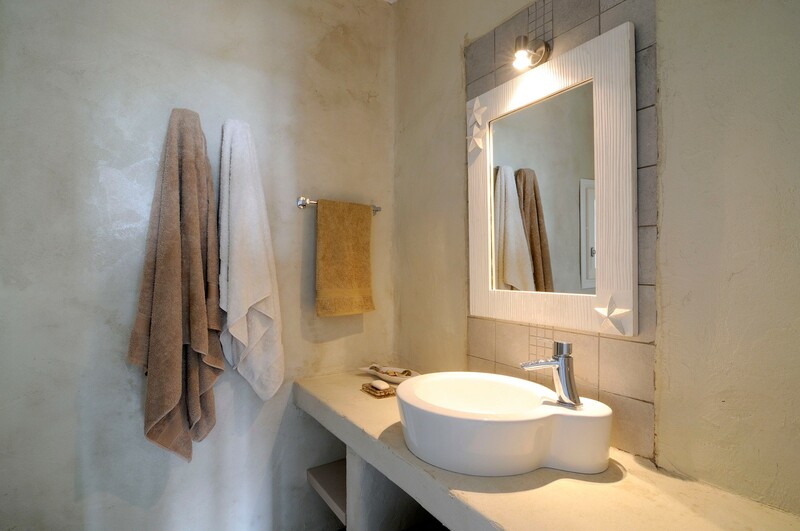 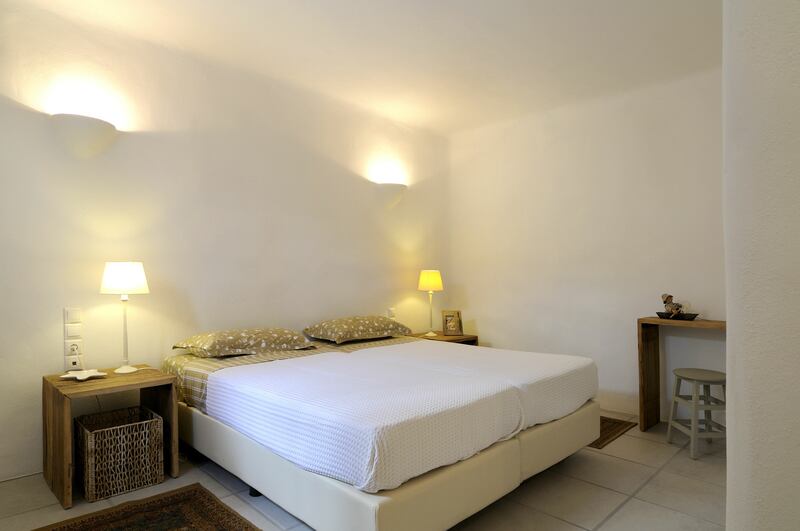 -Large bedroom with a double bed can be split into twin beds, en-suite bathroom, ceiling fan. 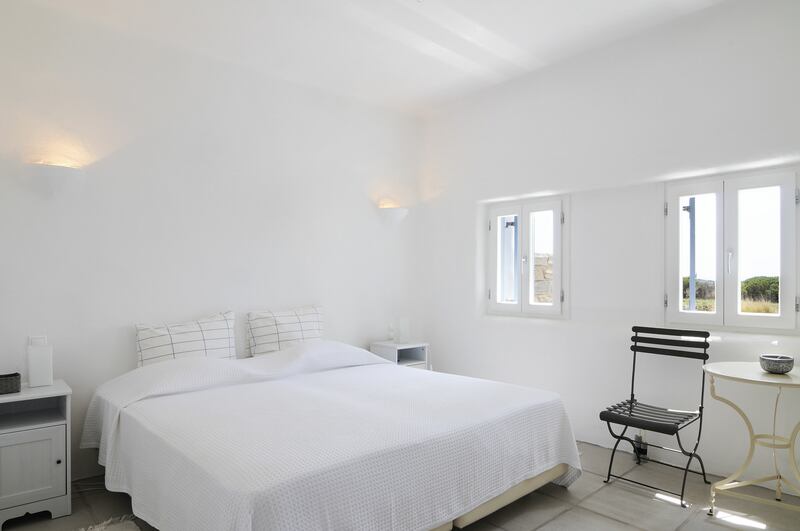 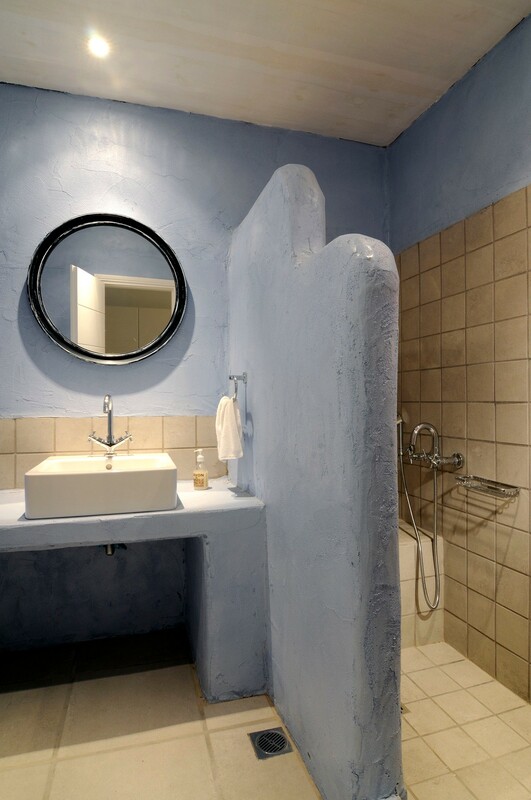 -Master double bedroom with queen size bed, en-suite bathroom, A/C, TV, separate office a balcony and veranda with panoramic views of the surrounding area and the neighboring Cycladic islands. 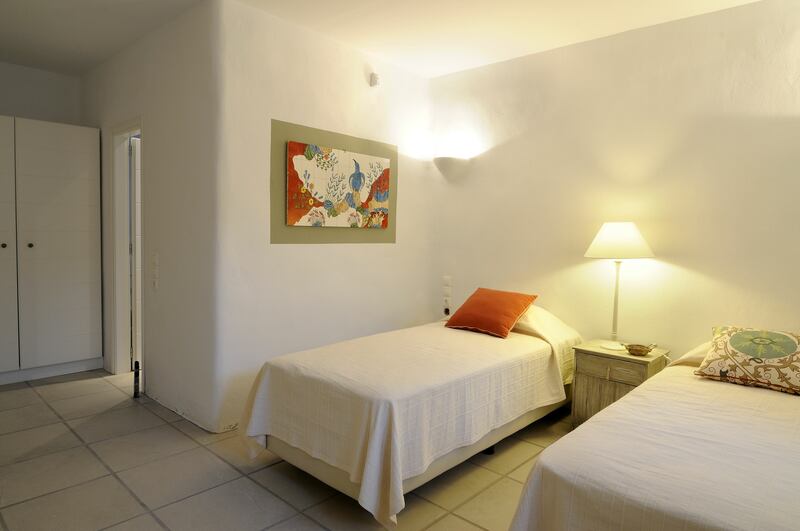 -Two large bedrooms both with queen size bed, direct access to separate bathrooms and A/C. 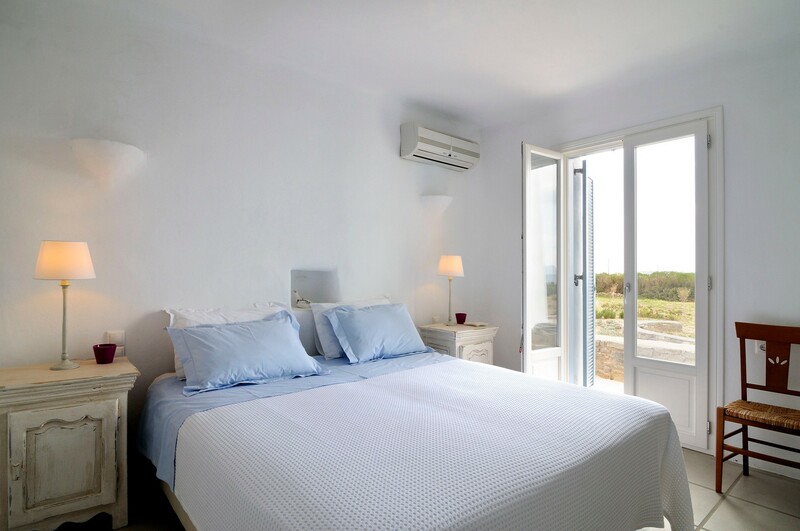 One of the bedrooms offers an elevated third built-in single bed and direct patio access. 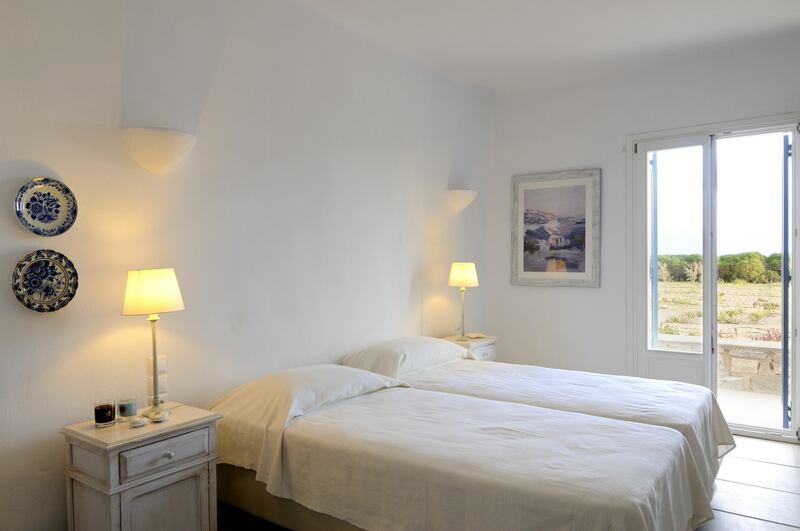 -Large double bedroom with a double bed can be split into twin beds, en-suite bathroom and a utility room. 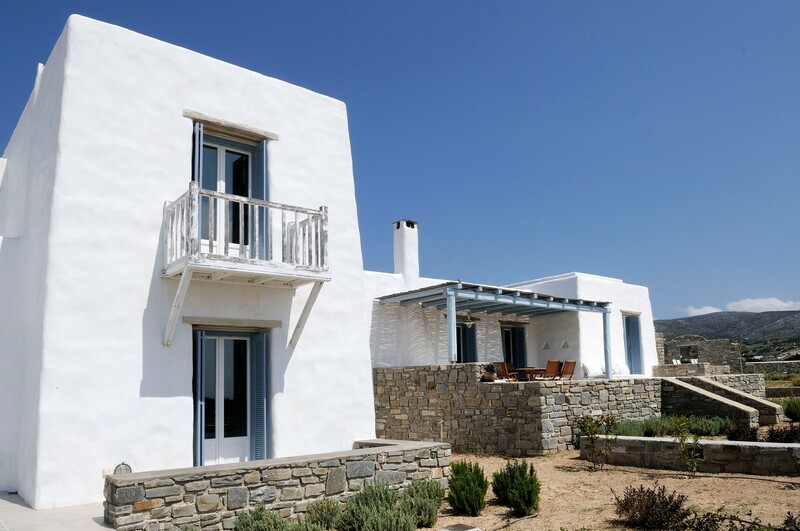 In case you feel like leaving your privacy for a while and mingling with the crowds, Punda beach is close by, and you can also jump on the ferry here for Antiparos and visit the stunning beaches across the water. 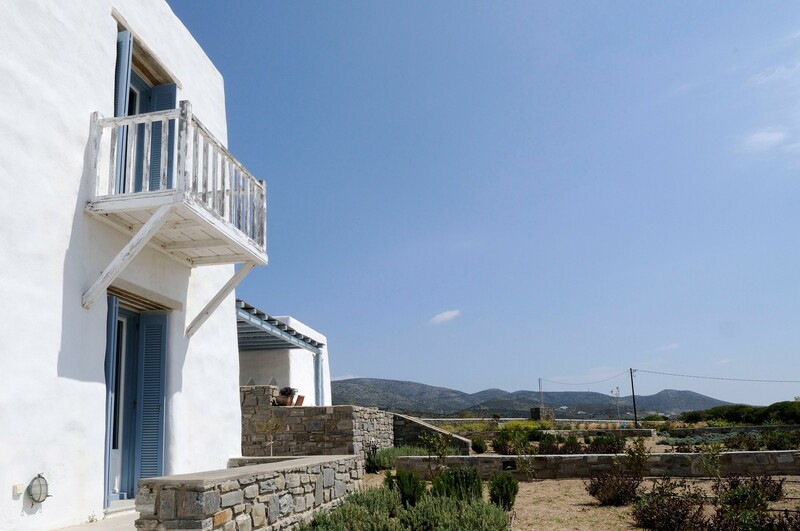 The beach lovers will probably spend the whole day there, but for the rest of the group there is the nearby village of Alyki, the best place to get a taste of the local life by visiting cozy tavernas, trying Greek mezze and visiting the cute shops.